There is no one better to provide you and your home with all the one-off cleaning services you might ever require around Haringey, N4. Thanks to One-Off Cleaning, hiring expert help has never been easier. We have spent many years providing services such as home cleaning within the N4 region, perfecting the knowledge and expertise we possess. When you want to be able to trust the experience of the best one-off cleaners across the N8 district and beyond, we are the team you need to call. There is nothing we cannot handle and nothing we cannot help with. Whatever type of house or office cleaning throughout N22 region or the surrounding area you might require, a call to our team can ensure the best help is made available to you right away. Discover the real benefits of hiring the best cleaners in the business and find out exactly what we can do for you! Just call on 020 3397 3282 today and talk to one of our experts and we will provide everything you could ever need to clean your property. What Should You Be Doing in Haringey? The London borough of Haringey has steadily become one of the inner areas of the city. Originally considered closer to the limits of the city, the expansion of London has moved it closer to the centre. The area shares borders with Hackney, Enfield, Waltham Forest, Islington, Barnet and Camden. 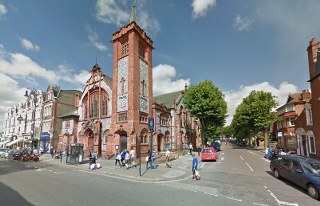 For those wondering about the local attractions found nearby, there are places such as Highpoint, Jacksons Lane, Bruce Castle, and Alexandra Palace. Apart from these, the region includes the football club Tottenham Hotspur, one of the best known sporting institutions in the city. Travel within the borough is simple, meaning getting from one attraction to the next involves a simple trip on the tube. Stations in the area include Crouch Hill, Hornsey, Turnpike Lane, Wood Green, Bowes Park, Highgate, Seven Sisters, White Hart Lane, Tottenham Hale, and Northumberland Park. These rail links make getting around the city easy, but there remains the option of many, many bus routes passing through the area. For those interested in the arts, places such as Haringey Shed, the Bernie Grant Arts Centre, Mountview Conservatoire, and the North London Performing Arts Centre are sure to delight. One of the real benefits of entrusting One-Off Cleaning with your home cleaning around Haringey, N4 is that we can save you a massive amount of time. When thinking about one-off cleaning across the N4 district and beyond, the help we have to offer will let you bring in the experts without having to worry about freeing up your schedule. Thanks to our expertise, you can relax while we are handling all of the difficult work, like shifting stains and cleaning carpets. By hiring the best one-off cleaners in the region, you are free to focus on whatever matters the most to you while we are dealing with the difficult stuff. 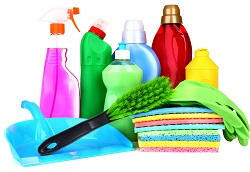 And on top of this, you will never find a better price on house cleaning throughout N8 region and the surrounding areas. Because we work so hard to help you save money, you can enjoy the real benefit of brilliant cleaning experts in a cost effective manner, always working to bring smile to your face. To find out more about how much you can save on a one-off clean with our help, call on 020 3397 3282 right now and get a free quote for the best cleaning help for your home.